I'm a bit bogged down with classes today but wanted to show you some of my fave samples from the MN Regional Boards. Aren't these cards FABULOUS?!! I love the colors, layouts & techniques on each one....I'll be casing these for sure in the future!! I have to get going....I just wanted to pop in really quick and say HI & let you know to expect a new post tomorrow for the Color Throwdown Challenge.....one of my fave challenges to participate in! Thanks so much for stopping by and have a great rest of the day!! jackie..everytime i visit your blog..you WOW me with amazing and beautiful creativity! The cards are just darling! tfs! Oh, yes, I agree with you, these are wondeful cards! Oh now these are some really gorgeous creations!! Love the light shimmer of the butterflies!! TFS! Really like the daisy one - I SO wish I had that stamp set! TFS and hope your classes are going well. Yep I remember these cards from the Kansas Regionals last fall!!! They did a great job on them!!! I took pictures of all the cards and had a fun time learning different ways to water color too!!! I hope you had a blast as well!!! 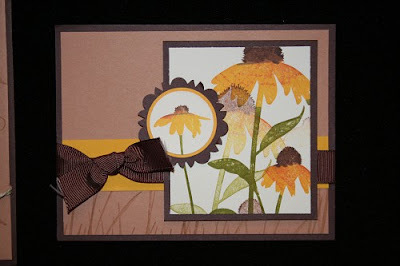 I love the earthy colors of the sunflower card. They are all great though! Great job!! sounds like your are having a great time. These are all nice but I especially like the first butterfly one because of the multi-colors. 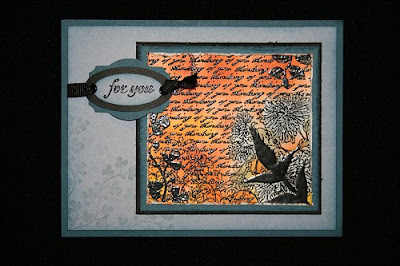 WOW, Jackie, this are such gorgeous cards....thanks for sharing them!!! Yep. These are fabulous. Thanks for sharing. These are all beautiful cards! Sounds like you've been busy! My fav has to be the third card - I really like the brown, green, and yellow together. Very pretty! I love all of them and I think all your work below is fabulous as well! Oh, you lucky girl! These are wonderful. I really love that butterfly card! Ohhhh, I've been wanting that daisy stamp since it first came out! These are all fabulous Jackie!! I love the butterfly card!! Jackie - these cards are beautiful and so very colorful. 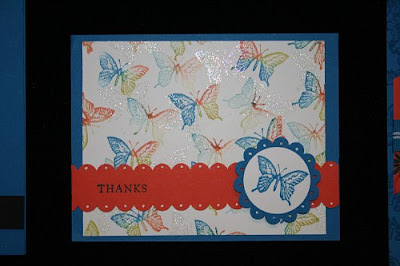 The butterfly card is wonderful - I really like how you have them in different colors. Awesome job !! Jackie! I love that sunflower card!! Its so beautiful!! Great Job!! OOooh yes they are great ones! I'll be coming back to help you with that casing! LOL! WOW! Wow, these are fabulous! I am sure that there was so much insparation at regionals! I can't wait for convention! Great cards. They'd definitely be my favorites too!!! I'm really loving the inspired by nature card. So fresh and springy!